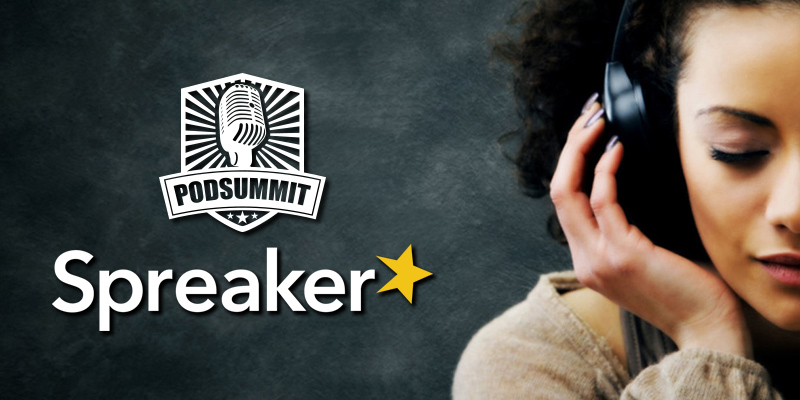 The good news just keep coming 🙂 We recently connected with the team at Spreaker, and they have decided to support our podcast conference! At PodSummit, you will get a chance to win a year’s worth of podcast hosting with their PRO plan! Spreaker is an interesting software and hosting suite for podcasters. Their website and mobile apps (for Android and iOS) provide a whole selection of tools to record, edit, and host your podcast. There is even a free plan called “Free Speech” that gives you 15 minutes of audio hosting per day to get started. As your show grows, so do their packages that start at just $50 / year. Every plan, including the free one has podcast analytics built in! You can check them out here. If you haven’t done so already – you can click below to get your tickets. At the time of this writing, PodSummit is now over 70% SOLD OUT! Join us at PodSummit III on June 22nd in Calgary! This year, we are focusing on helping you make your show magnetic, leverage smart marketing, and discover new ways to monetize your efforts! Join 100 Podcasters & Content Creators This June 22nd, in Calgary!